This is an absolutely gorgeous 3 bedroom Town home which offers luxury at very affordable prices with the added benefit of a Private Pool with lovely conservation views. The home has been elegantly furnished to a very high standard and has a bright and appealing open plan Living room with an Elegant Dining Area seating 6 and a breakfast bar for more informal dining. The fully equipped kitchen includes top quality appliances and there are Laundry facilities (washer/dryer) should you need them. The home has three luxurious bedrooms and three bathrooms. The master Bedroom has a king size bed, it also boasts a balcony with seating for those private breakfasts where you can enjoy the spectacular views. The private pool area includes sun loungers where you can unwind in blissful tranquillity after a day in the parks, or indeed enjoy an evening relaxing and enjoying the conservation views. There is Wi-Fi internet connection, Cable TV package and all local and US calls are free. 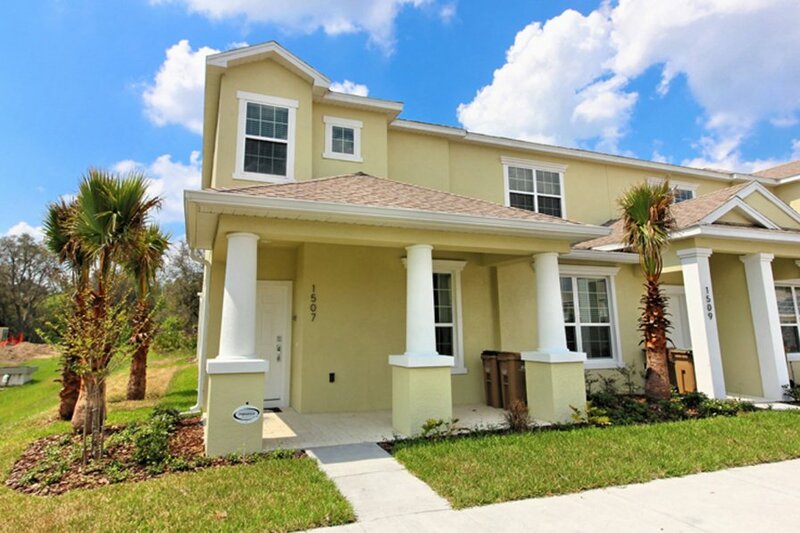 This home is an amazing property and offers a relaxing and tranquil stay to your Orlando Vacation, you would not be dis-appointed with this home.